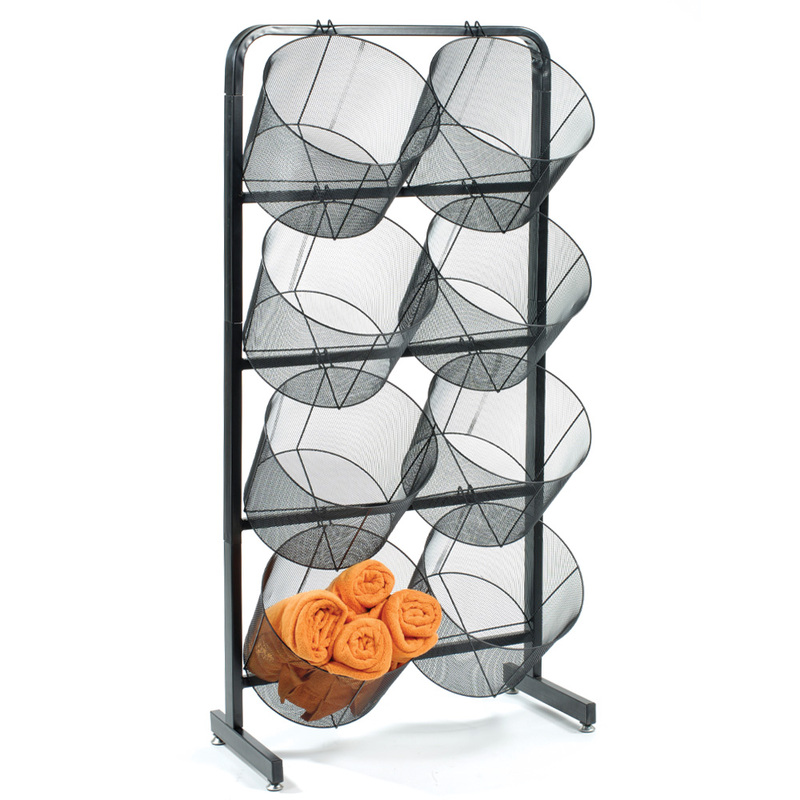 Update the look of your store with this contemporary black wire mesh baskets display. The display has 8 - 15 1/2 in. diameter baskets. Baskets slant to front so products can be easily accessible. Add a sign holder to get your customers attention, search item 6892.